David grew up in a missionary family. He was born in Singapore, and lived in Jakarta until he was 5 years old. He then returned to Singapore when he was 15, and stayed on to complete a Bachelor of Arts: Music at LASALLE College of the Arts. 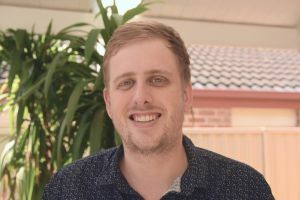 After moving to Sydney, David continued his studies at the Australian Institute of Music, where he completed a Post Graduate Diploma in Music Composition from 2014-2015. He furthered his studies in 2016, completing an Advance Diploma in Radio Essentials at the Australian Film Television and Radio School. In his spare time, David enjoys producing music. He also enjoys cooking, photography, and watching movies. In 2018 David commenced as a volunteer with GRN, serving in the Studio Department programming and re-mastering Gospel audio recordings in many different languages. Having seen first-hand how God has gifted and equipped David with his cross-cultural and audio background, GRN offered David the opportunity to join the staff as a Trainee Recordist. In this role, David will continue his work in the studio as well as travel to various people groups and learn how to make Gospel audio recordings. He will also undertake theological studies. This is an exciting opportunity for David to be used by God to share the story of Jesus with people in their own language. Interested in supporting David? Click here, or use the the 'Support David' button above to begin.